As the world knows, our President is here on vacation this week. I have yet to catch a glimpse of him but can assure you the motorcade drive by does a number on a baby monitor. Everyone seems to be living their last moments of summer - for better or worse. We are hoping to move into our new house in the next couple of weeks which is a huge huge huge excitement. Nick has been working like a crazy man to get it ready for us and I can't wait to enjoy it during our last moments of a family of three. Yesterday I wrote all of Dylan's preschool notes on my calendar. I can't believe my calendar now has things like "parent conferences" included - how did this happen? 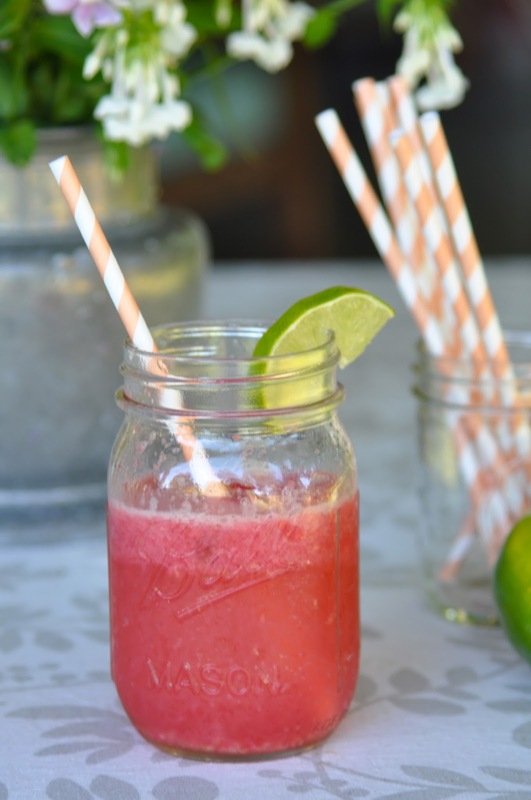 I'm sharing this Raspberry Lime Rickey recipe because my mom has had the makings on hand all summer and before these last weeks of August are suddenly over we all deserve a refreshing sip. To make the raspberry sauce, whizz raspberries, sweetener, and water in a food processor until smooth. Strain the sauce over a fine sieve or cheesecloth into a bowl. When ready to assemble, fill a cup with ice, add desired amount of raspberry sauce, juice of 1 lime, and top with seltzer. Stir to combine. Yum!! Cheers to parent conferences-eek! Awesome! I'll use the last image as my pc wallpaper, if you don't mind!